It was pretty early on in the day when I had my first realization that I had no clue what I was getting myself in for. I got up yesterday morning at 5:30, showered, blogged, ate the free complimentary hot breakfast (sausage and eggs) and started roaming towards the convention center around 8 am. When I got there I noticed there was absolutely nothing for parking, and the garage across the street from the convention center had a massive line of cars backed up in both directions. After not find any real alternatives I got in that line and waited, hoping the “Open” side on the side of the garage would not change. I was quite literally in that line for an hour before I finally got in and parked on the roof of the parking lot. I have to say I have never been quite so happy to be parking on a rain drenched roof in my life. I made my way into the convention hall where I entered a line of people… quite honestly not really knowing why I was lining up. 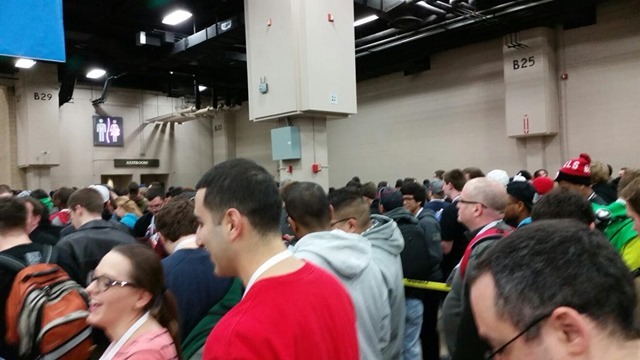 It turns out I was doing mostly okay since this was the line for the opening of the expo hall at 10 am, the area that I had planned on spending most of my day. I mingled with folks standing in line waiting on things to happen. They had us line up five across and the entire length of the hall. When I got there I was towards the front of line three, so people had been there in theory since at least 7 am. By the time the halls actually opened up there were I believe eight of these lines all waiting to stream into the convention hall like an invading army. Most were in search of the illusive swag… me I was mostly trying to get my bearings and figure out where my media appointments would be. 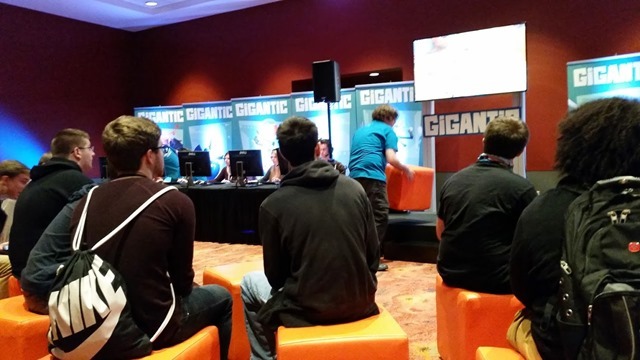 Gigantic is one of those titles that I have known about for some time. The art style and character designs appealed to me, but when I had a friend describe it as a “MOBA” my brain closed down shop. 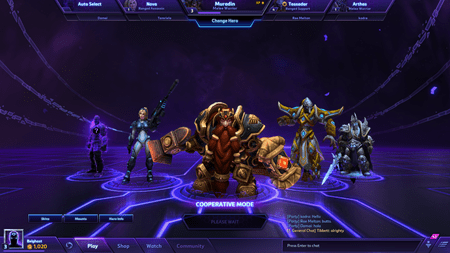 Right now I am engaged in both League of Legends and Heroes of the Storm for various reasons… and I just did not feel like I had enough room for “yet another moba” in my life. 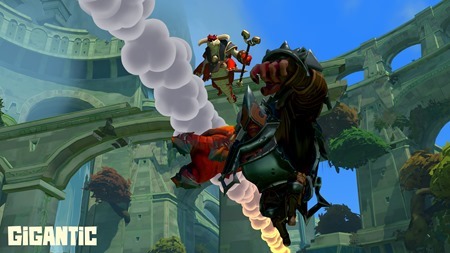 Gigantic however is only a moba in character and skill designs, but the rest of the game play borrow elements from many genres the biggest is that of the first person shooter. A match feels like a fast paced objective based deathmatch. The gameplay starts with two teams of champions defending their teams “Guardian” which are these insanely huge monsters at either end of the arena. The goal of the game is to score three wounds on the opposing teams Guardian. You can either do this by dealing damage directly, or sending summoned creatures in to fight for you. 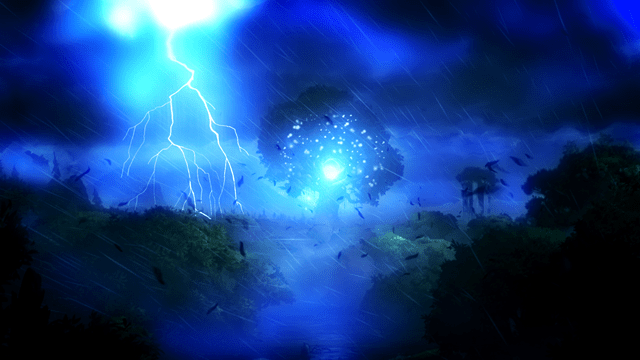 The challenge is that when you are summoning a creature you can be interrupted by taking damage from the other team. Where the game play gets interesting is when “The Clash” happens, which is an end game condition that keeps matches from going too long. When this happens the game arena shrinks in size as your guardian moves up to actually start fighting directly with the enemy guardian. At this same time it funnels the players into much tighter quarters. There are a lot of nuance to the mechanics, and since I have only gotten to play a single match it is hard for me to guess at much of it. My background is that of an MMO tank… and having played mostly that… I have to say picking up The Margrave the “tanky”champion felt right at home. He has a kit with a big ground slam, frontal cleave attack, channeled defensive, and a charge that can be used to hit other players or simply cover ground. I actually landed the first kill of the match because the controls felt so natural. The biggest highlight of my trip through Gigantic land is that I got to meet and hang out with Lonrem, better known for his community role with Anook. Apparently he has been in the Gigantic community for some time, and when they made a call for experienced players to help act as “coaches” for the convention he jumped. After hanging out with the Gigantic folks it was time for me to go to the floor and talk to Undead Labs the first of my press appointments for the show. I have to give huge credit to Sanya Weathers for being so awesome in setting this up. 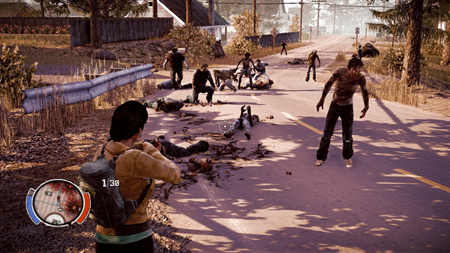 I’ve long been a fan of the stuff Undead Labs is doing and I was a day one buyer of State of Decay on XBLA and then later re-bought the game when it came out on steam. Since then each time it has gone on sale I have picked up copies for various people to keep spreading the game. I describe it to my friends as “Fallout with zombies and base building”, and I was pleased to find out that the folks at Undead Labs are completely happy with that description. What is coming out in April is what they were showing off at the show, the Year One Survival edition. Since it is targeting the PC and XBox One they have gone back and re-mastered the entire game so that it looks glorious at 1080p. Additionally as Breakdown and Lifeline were released a number of improvements were made to the gameplay in each expansion. All of those quality of life changes have been applied to the entire game as a whole and you can also play all of the characters from Breakdown and Lifeline in the original game as well. For folks who own the previous release of the game there is going to be a special veteran only character with a sword and a suppressed rifle. I asked the million dollar question of what the future plans were for the franchise and if it would include multiplayer. As expected they could not commit to anything concrete, but did say that multiplayer was their original goal and still something they very much want to happen. They said that when they did it, they wanted to build a game from the ground up with multiplayer, not try and tack it on as an afterthought… and that much I definitely agree with. 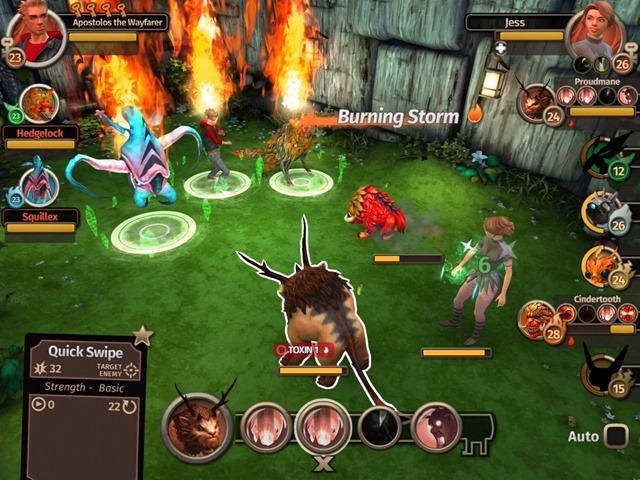 Also while in Undead Labs land I got to get my hands on Moonrise their new mobile targeted pet battle rpg. 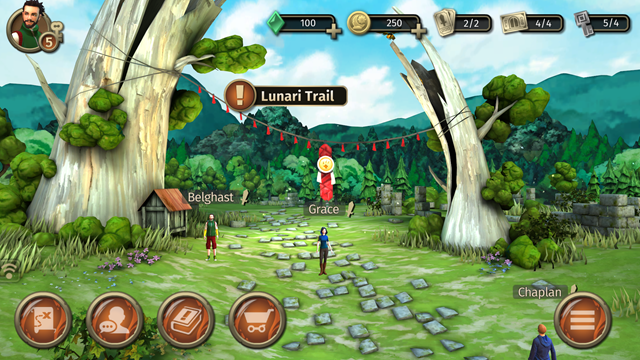 The idea behind the game is that every so often a condition happens that cause the animals of the planet to get infected with a sickness and become “Lunari”. You play the role as a Warden, a public servant of sorts that does battle with the enraged Lunari, curing them and turning them back into the peaceful Solari. If you have ever played the game Jade Coccoon, it feels very similiar… and in talking to Richard Foge it seems like the team had not actually played that game until after folks like me started comparing Moonrise to it. 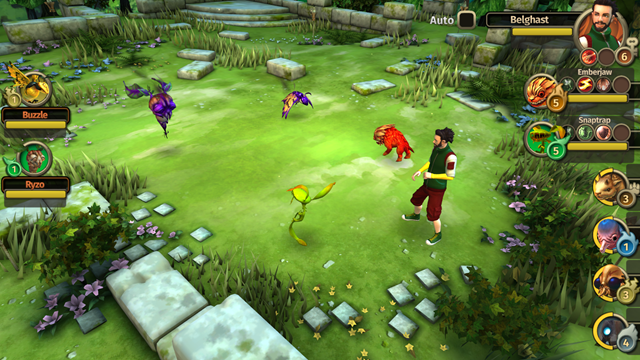 The game is highly influenced by Pokemon, but the game plays out in a much more realtime fashion. Not only do you have to have the right combos at the ready.. you have to be able to play them in rapid succession without your opponent somehow throwing a monkey wrench in your plans. When we got around to playing PVP I happened to have one of those monkey wrenches and I kept throwing it often. 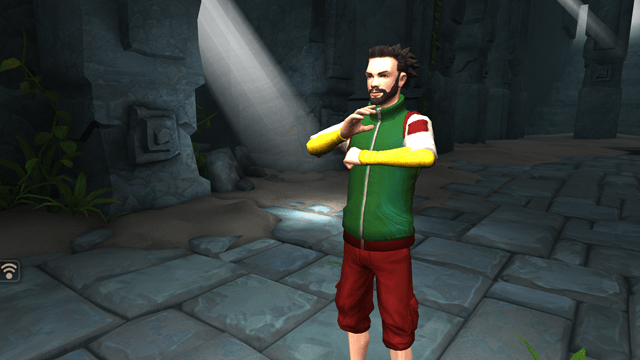 The game plans on being free to play with its monetization focusing on speeding up actions. However they did not want to build a game where the player spent all of their time waiting on something to free up to be able to continue. The goal was to create a game where there was always something to do, and from the sounds of it keep the player from going into maintenance mode. I definitely look forward to seeing the game launch which is started at “sometime 2015” on consoles, iOS, Android and supporting both phone and tablet form factors. The last media appointment of the day was with the folks at Frontier to show off Elite Dangerous. I cannot explain how phenomenally bad I am at star ship flight simulator type games. I can do relatively well when I am constrained by gravity… but when you throw in that element of being able to fly upside down in the mix I get completely lost. To make matters even more difficult, they opted to show me the game using the Occulus Rift, hardware I had as of yet not been able to play with. To say it was disorienting is a bit of an understatement. That said after sitting in this virtual cockpit for a bit I noticed myself doing things instinctively like looking up through the top of the canopy to follow smoke trails or looking down at the dashboard indicators. The only thing that I found really disturbing was the render hands that took actions similar to mine but not quite mine. When you fire your weapons, the hand in game would fire your weapons… when you raised the shield the hand in game would raise the shield. The problem is the rest of the time the hand largely sat there lifeless. It was a really cool experience and I quizzed them about their future plans. They said they would not be happy until you could do everything you would want to do in the setting including planetary exploration. That however will take a long time, and they are prepping the 1.1 patch to becoming soon and adding new content. 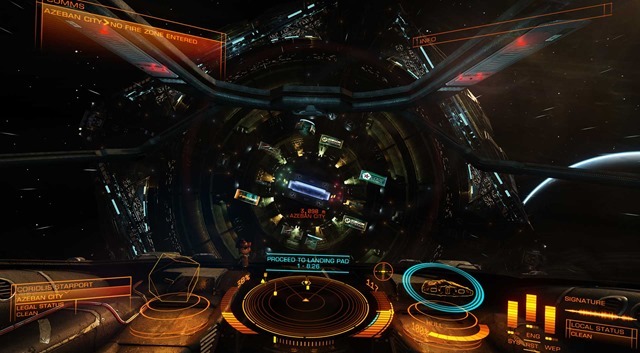 The first day was a whole for me was almost as disorienting as playing Elite Dangerous with the Occulus Rift. I am not entirely certain what I was expecting, but the reality turned out to be all the more strange. I wish I could catch and bottle some of the enthusiasm of some of the other participants. The whole place has this “summer camp for dorks” feel to it that is magical, and please don’t misunderstand… I am absolutely a dork, just a deeply jaded one at this point. Maybe it is because I have friends on the other side of the looking glass, that makes me able to see that there really isn’t magic at work… just a lot of clever programming and determination. I also am not in a rabid search for free stuff mode, that it seems most of the conventioneers are so there is that. I think if I were going to do this again I would try and schedule my entire day with nothing but press appointments. That is what I found interesting, talking face to face with the folks behind the games. I guess after writing about games for so long my interests have become far more nuanced. 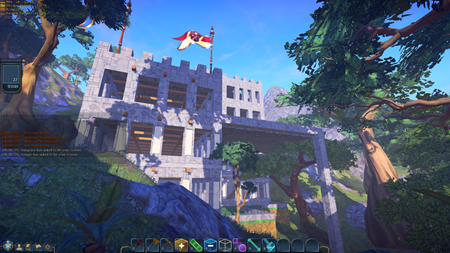 At this point its time to hit publish and get ready to go do day two where I am hopefully met by Ashgar and Rae.